Those who work for ConocoPhillips Global Aviation Services (GAS) are experts at getting people from point A to point B, safely and efficiently. 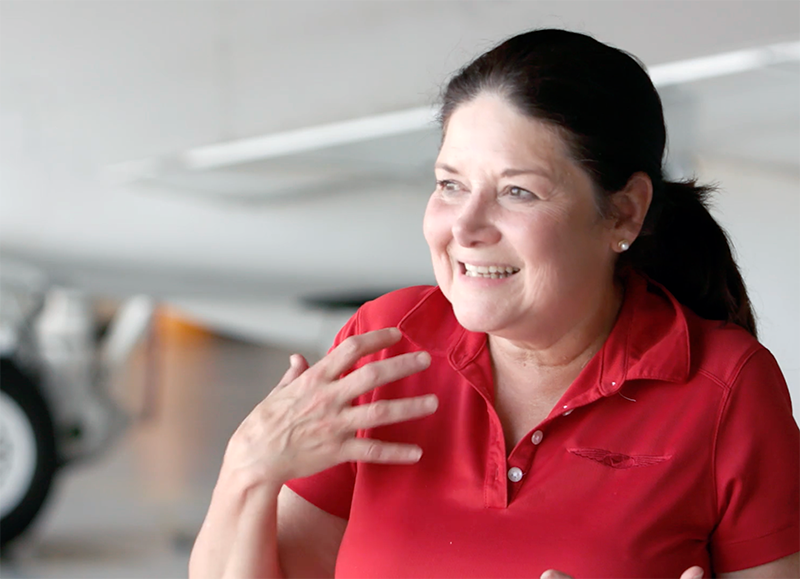 While their passion is aviation, they’re equally enthusiastic about helping others and being good neighbors. Through the Corporate Angel Network (CAN), the Aviation mentoring program and United Way fundraisers, GAS employees exemplify a culture of caring about the community. Over the years, GAS’ collaboration with CAN has made a huge difference. Founded in 1981, CAN helps cancer patients access treatment by arranging free travel aboard corporate jets whenever empty seats are available. The program reduces emotional stress, physical discomfort and the financial burden that comes with traveling. Because some of the world’s leading cancer treatment facilities are based in Houston, ConocoPhillips’ OK-TX Air Shuttle that flies between Bartlesville, Okla., and Houston is a key resource for patients who live in Oklahoma and surrounding states. Since 1983, the shuttle has made more than 11,000 patient flights. 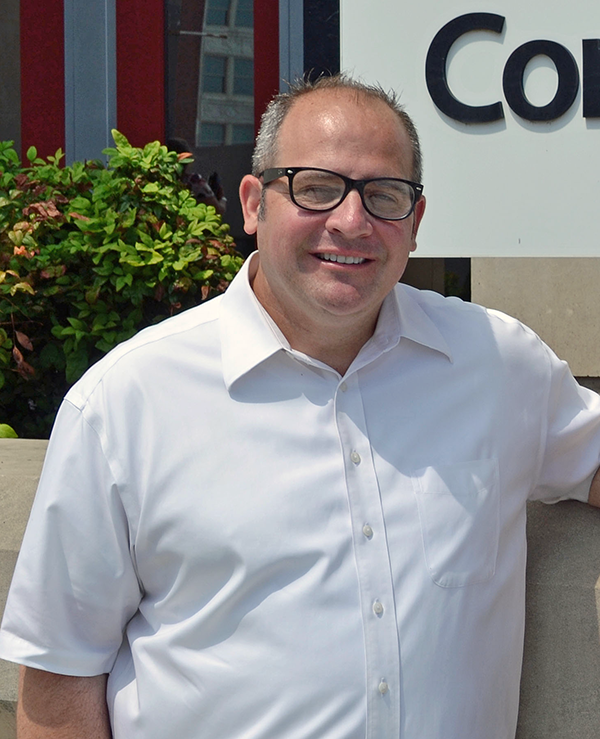 Senior Captain Jeff Fellows epitomizes the spirit of those who work in ConocoPhillips’ Aviation organization. While interviewing with the company in 2012, Fellows learned about its extensive community initiatives, including its partnership with CAN. “I was sold on the company from that point,” he said. Fast forward to 2018, and Fellows is now piloting executive flights for ConocoPhillips. In his previous role, Fellows was assistant chief pilot for the OK-TX Air Shuttle for four years. During that time, he copiloted many flights carrying CAN patients. He said the shuttle provides a life-changing experience for families who are going through a tough time in their lives. The team, he said, works to ensure the experience is positive and comfortable. Fellows recalls an experience that sticks with him to this day. A few years back, just before Christmas, Fellows was helping with the last flight of the season. Aboard the air shuttle was a young girl with cancer, accompanied by her mother. Because of a weakened immune system, the little girl was wearing gloves and a face mask. Fellows and Rick Boswell, shuttle captain, asked the mother if her daughter would like to ride in the jump seat on the flight deck. Fellows remembers the excitement in the girl’s eyes and the mother’s tears of gratitude. “You could tell it was a rough time for both of them,” he said. Fellows and Boswell worked to get her involved in the flight. Since it was cloudy coming into Bartlesville, Boswell asked her to help them find the runway. Fellows remembers how happy the little girl and her mother were following the flight. Flight Attendant Olive Zanakis said she does everything possible to make CAN patients, who are often stressed and not feeling well, comfortable during the flight. The collaboration also eases patients’ travel challenges, Zanakis said. “It’s one less thing they have to deal with,” she said. “They need to get to their appointment, and we’re there to be their little angels and help them along. GAS Manager Keith Nickles said CAN patients who ride the air shuttle are treated with respect and dignity. GAS’ commitment to the community also involves introducing youths to the aviation industry. 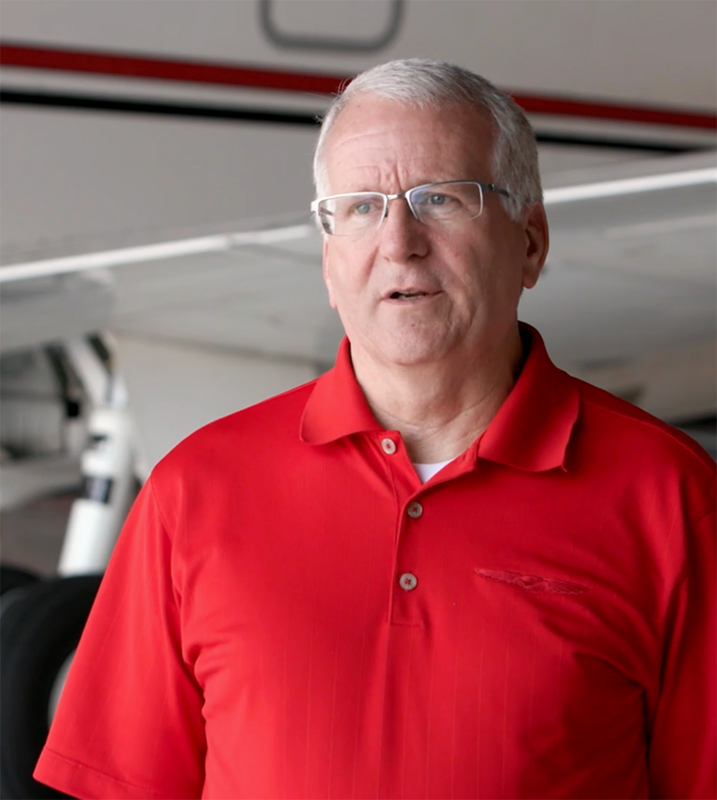 In Bartlesville, the Aviation team hosts a mentoring program over five weeks each summer. Zanakis manages the program, an immersive experience that gives youths ages 13 to 17 a snapshot of what it’s like to work in the aviation industry. The youths are introduced to various aspects of the industry, including safety, flight and airport operations, pilot and flight attendant duties, aircraft maintenance and human resources. Upon completion of the program, participants are rewarded with a flight aboard the company shuttle. Zanakis and the other Aviation employees who help with the mentoring program do it on a volunteer basis. During the program, youths learn about the company’s safety culture and just how much teamwork it takes to get an aircraft off the ground. Clara Moran, who attended the Aviation Mentorship Program at ConocoPhillips, is now a senior at Oklahoma State University, majoring in aerospace administration and operations. The program has made a lasting impact on former participant Clara Moran. She’s now a senior at Oklahoma State University (OSU), majoring in aerospace administration and operations. The Bartlesville High School graduate never intended to pursue a career in the aviation industry, much less be a pilot. But that’s exactly what happened. Moran enjoys helping others and initially thought she might go into law enforcement. But when she decided to Moran enjoys helping others and initially thought she might go into law enforcement. But when she decided to pursue a career in aviation, she already had a head start. “I already had the background from the Aviation mentorship program to help me navigate what area of aviation I wanted to pursue,” she said. Moran has made great strides in aviation. 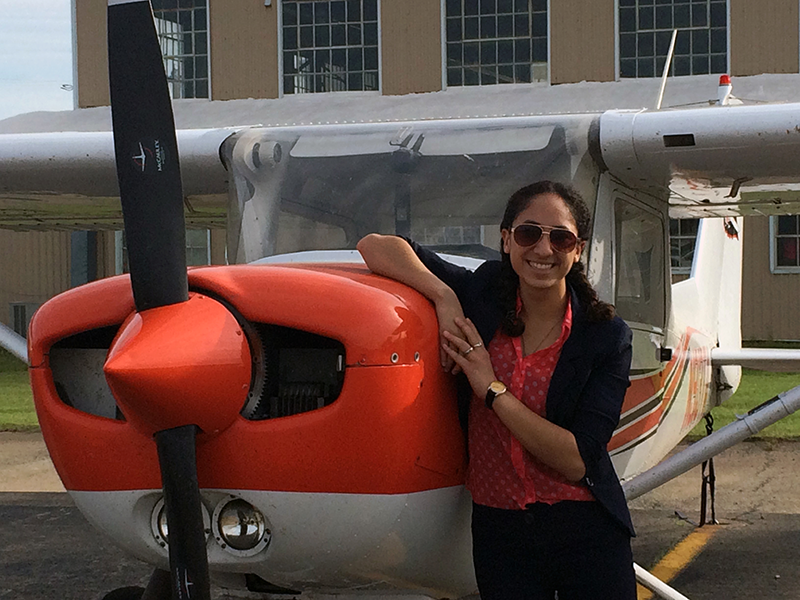 She’s earned her private pilot license and instrument pilot certification and is finishing her multiengine certification within OSU’s commercial pilot license program. Moran is on schedule to earn her commercial license by January. And just like her mentors, Moran loves sharing her enthusiasm for aviation. She attended the opening ceremony of the 2017 mentoring program class by flying an OSU trainer airplane into Bartlesville from Stillwater. It was an opportunity to promote OSU's aviation program and let the youths sit in the cockpit of the airplane. “They were able to witness firsthand an opportunity should they choose to pursue aviation,” she said. Fellows said helping with the mentoring program is a way of paying it forward. 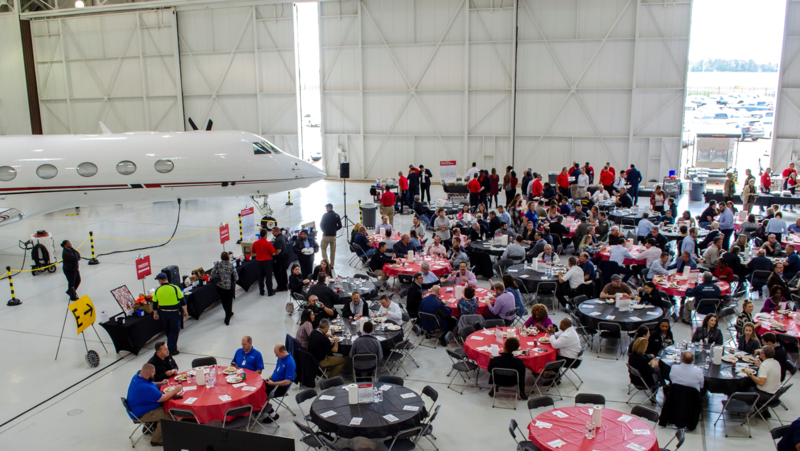 ConocoPhillips Global Aviation Services raised more than $31,000 for the United Way during its 2018 barbecue fundraiser. An estimated 290 people took part in the event, held Nov. 1 at the ConocoPhillips hangar at George Bush Intercontinental Airport. Each year, GAS employees sponsor events to raise money for the United Way and volunteer their time to help out in the community. 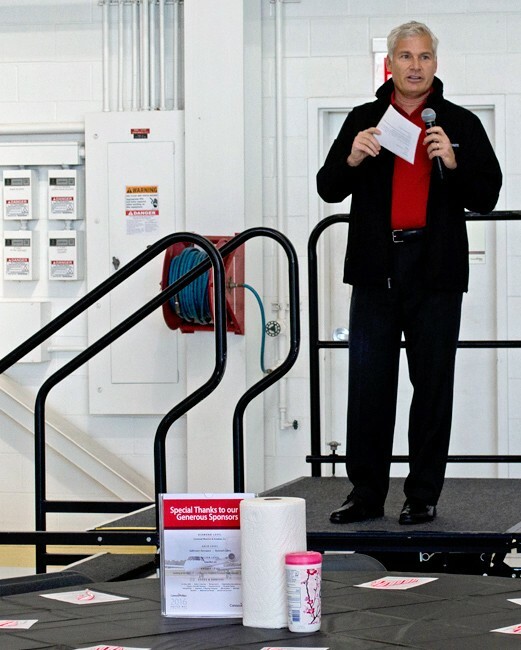 In Houston, the group hosts its United Way Aviation BBQ at the ConocoPhillips hangar at George Bush Intercontinental Airport. This year’s fundraiser raised more than $31,000 for the United Way. And as part of its fundraising, the group auctions off a “Captain for a Day” experience, where the winner gets to fly in the shuttle jump seat, tour one of the company’s executive jets and try out a flight simulator at Hobby Airport. In Alaska, Aviation employees coordinate their United Way initiatives with the Alaska business unit during their annual Day of Caring, when together they dedicate an entire day to completing various outreach programs in the greater Anchorage community. It’s something the entire team looks forward to and it strengthens their commitment to the local community. And like a good neighbor, the GAS team is always looking out for the community. Because when it comes to giving back, the sky’s the limit. Global Aviation Services is a team of professionals committed to providing safe, compliant, reliable and efficient solutions that maximize stakeholder value. 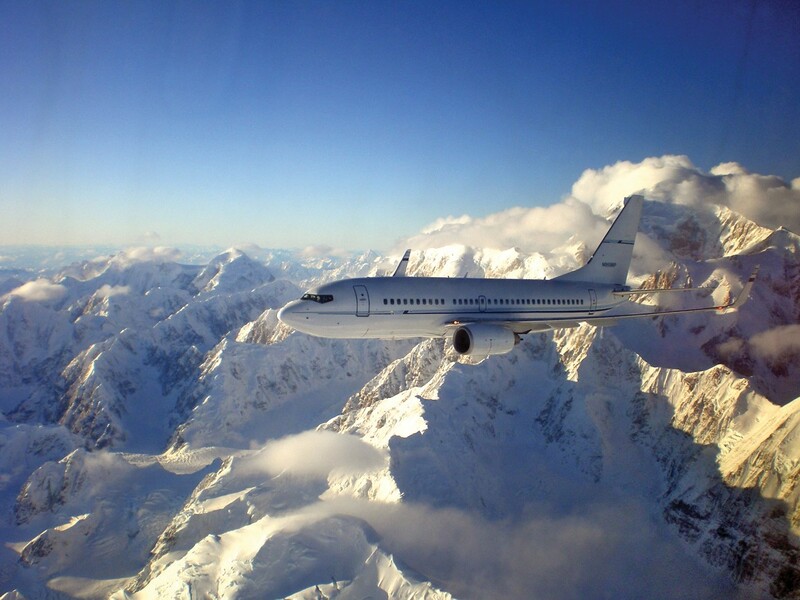 Alaska Shared Services Aviation: A co-venture between ConocoPhillips and BP, this service transports over 27,000 employees and contract workers every month between Anchorage, Fairbanks and the North Slope. Three Boeing 737-700s fly a north/south route from Anchorage to the North Slope, and two prop planes fly an east/west route in the North Slope area. ConocoPhillips Alaska Aviation: Transports over 250,000 passengers per year to, from and around the North Slope. Aviation Safety Assurance & Oversight: Supports over 14 business units, plus joint ventures and partner-operated units. Facilities: Operates the Bartlesville Airport, Houston hangar and airport offices; Anchorage, Alaska hanger, offices and terminal facilities; Deadhorse, Alaska hangar and airport terminal facilities; Fairbanks airport terminal facilities; Kuparuk, Alaska runway; Alpine, Alaska runway; and Dili, Timor-Leste runway.